Clone is a type family by Lasko Dzurovski from Macedonia. The lovechild of cyber-culture and genetic font modification takes inspiration from coding, technology and architecture. A quasi-monospaced typeface that gives a nod to the quirkiness of engineered fonts without sacrificing a natural reading experience. 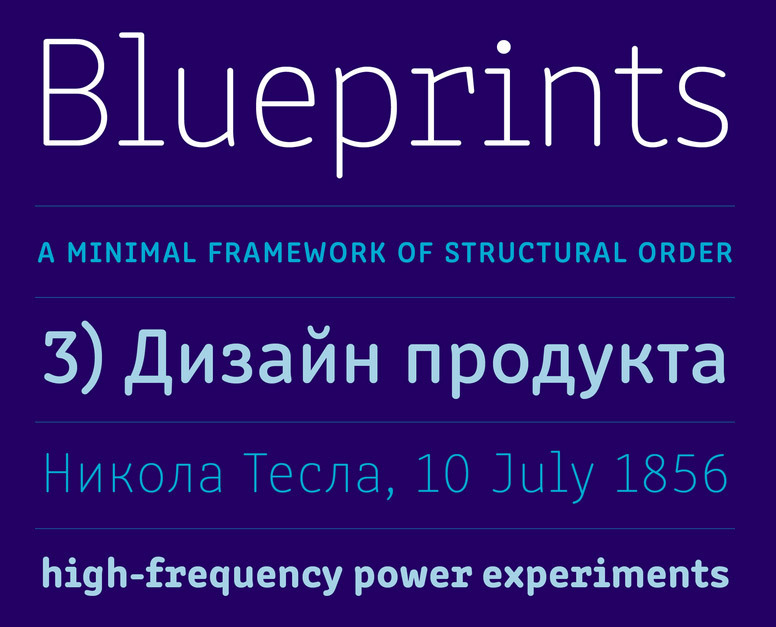 Released by Rosetta Type Foundry.